Your car might be performing just fine with stock parts, but, if you’re looking for greater horsepower, torque, and fuel efficiency, consider performance injectors. These injectors can help your engine perform at maximum capacity and boost your fuel economy. Performance injectors work by delivering more fuel into the combustion chamber, greatly increasing your vehicle’s power and performance. Fuel injectors are responsible for delivering fuel to the engine. This is achieved by using a fuel pressure regulator, which draws gasoline in. The fuel injectors then spray a fine mist of gasoline into the combustion chamber. In older cars, this was done using a carburetor system, which was not as fuel efficient and was harmful to the environment. There are two types of fuel injection systems: mechanical and electronic. Most cars these days utilize an electronic fuel injection system. This is because electronic fuel injection systems are easier to reprogram to match the vehicle’s specific fuel needs. Stock fuel injectors can deliver the right amount of fuel to a stock engine. However, for engines outfitted with a turbo or supercharger, stock fuel injectors will decrease performance. Even though a turbo or supercharger will allow more air to flow into the combustion chamber, stock injectors won’t be able to deliver enough fuel to the engine. But, before you rush to buy a new set of performance fuel injectors, you should take some time to plan your purchase based on your car’s modifications. In cars fully outfitted with stock parts, fuel injectors only flow at around 80% capacity. This capacity is fine for daily drivers with no modifications. For cars with aftermarket parts installed, the fuel injectors can perform at maximum capacity, depending on the extra parts added. When it comes to turbo cars, you’ll need to upgrade your fuel system with performance injectors and a performance fuel pump. Otherwise, the injectors won’t be able to flow enough fuel to the engine to make your car run the way you want it to. You should also match your performance fuel injector to your specific engine. Before you purchase your performance fuel injectors, you should know how much NOS you want to add to your car. Fuel injectors that flow too much fuel into the engine can hinder performance almost as much as those that flow too little. Consider using a fuel injector calculator to help you figure out the exact fuel injectors you’ll need for your vehicle. We think this one is common sense, but you’ll need to match your fuel injector to the type of fuel your car uses as well. If you get a diesel performance injector for an engine that runs on unleaded, you’re going to run into trouble. Performance fuel injectors aren’t cheap, and you won’t want to waste time and money getting the wrong ones. Make sure your engine can handle the extra power. A daily driver with no other modifications probably doesn’t need performance fuel injectors. Some stock engines may not be able to handle the extra power performance injectors can give to a car. Other aftermarket parts may be needed for the engine, depending on the kind of engine and the car itself. You won’t get the maximum performance you want if you install the performance fuel injectors by themselves. Other aftermarket parts and modifications are needed to ensure you get the best performance out of your new fuel system. Reprogram the ECU. The ECU is the engine control unit, or the car’s “computer.” If you’re going to be adding aftermarket parts that boost engine performance without reprogramming the ECU, your performance will suffer. This is because the ECU controls the engine and will still be operating according to stock specifications. Upgraded fuel pump. This is not necessary for all cars but is generally recommended. A high flow pump can provide maximum fuel flow to the engine for optimal horsepower and fuel efficiency. Adjustable fuel pressure regulator. Just like the upgraded fuel pump, adding an adjustable fuel pressure regulator isn’t necessary for every car. Still, you’ll need to make sure that your new injectors are running on the right fuel pressure. 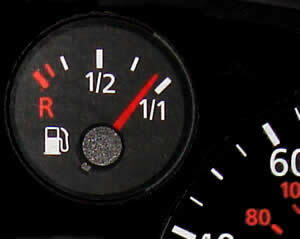 An adjustable regulator can also help boost your fuel efficiency. Fuel treatment. If you’ve upgraded your entire fuel system, you might as well upgrade your fuel. Boost your fuel economy with a fuel treatment or catalyst to get the most miles out of every tank. You’ll need to make sure you’ve installed all necessary aftermarket parts properly. These signs could be an indication that you’re missing a part or that something isn’t working correctly. Change the fuel filters every 15,000 miles or once a year. Sometimes, the warning signs listed above may be caused by an old fuel filter. Make sure you change your fuel filters – or take them to a mechanic to have them changed – approximately every 15,000 miles. Clean your fuel injection system every 20,000 miles. This is standard for electronic fuel injection systems. Dirty fuel injection systems can hinder performance. You’ll need a fuel injector cleaner kit. This is not generally required in new cars with less than 60,000 miles. Keep a record of your car’s fuel economy. Knowing your mpg can help you visualize the extra power your vehicle is getting from the new injectors. Plus, it can also help you diagnose a problem if it decreases in the future. Your performance fuel injection system may require cleaning more often. For the best advice, consult your automotive technician. Or, if you prefer to do it yourself, like many gearheads, do your homework and read up on your vehicle’s fuel injection system cleaning and maintenance recommendations. If you’ve got a daily driver with stock parts, chances are you don’t need performance fuel injectors, but, if you’ve fitted your car with a turbo or supercharger, you’ll need to invest in a performance fuel injector system to get the most out of your modifications. The extra expense is well worth it in the long run. This entry was filed under Articles, Fuel, Intake & Exhaust. You can leave a response below or join our forum to discuss this article and car modification in detail with our members.